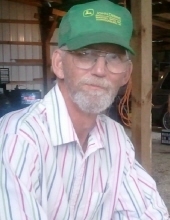 Tommy Lee “Tom” Shipe, 60, of Swoope, passed away on Friday, April 5, 2019 at Augusta Health in Fishersville surrounded by family, friends, and love. Tom was born August 18, 1958 in Staunton. Tom was a kind and generous man who spent his life working hard to provide for his family and serving his community as a volunteer firefighter. When he was not working, or spending time with his family, you could usually find him in the woods pursuing his greatest hobby, hunting. He never met a dog that he did not immediately love, and it was not uncommon to arrive home to a new pet. Tom loved children, and he was an honorary grandfather or father figure to many in the community. Tom was preceded in death by his father, Thomas Eugene Shipe. Tom was a devoted husband, father, grandfather, son, brother, and uncle. He is survived by his wife, Teresa Shipe, of Swoope; his son, Jonathan Shipe and his husband Charles Warner, of Lynchburg; his daughter Jessica Losnes, her husband Daniel, and their two sons Mason and Lucas, of Forest. He is also survived by his mother, Dora Jean Shipe, of Waynesboro; sister, Debbie Breeden and her fiancé Jake Alexander, of Fork Union; brother, Bobby Shipe and his wife Janette, of Staunton; brother, Jamie Shipe, of Greenville; and sister, Mary Almarode, of Crimora. Tom had numerous nieces and nephews who he also loved. He is also survived by his mother-in-law, Margaret, and her husband Mark Lehman, of Harrisonburg. The family will host a memorial service on Saturday, April 13 at 11:00 am with family visitation starting at 10:00 am in the Coffman Funeral Home Chapel. Tom loved firefighting, and he loved the Swoope Volunteer Fire Department. His family requests that instead of flowers and memorials, please consider donating to the Swoope Volunteer Fire Department in his honor. In this way, we hope to continue his legacy of service and devotion to his community. To send flowers or a remembrance gift to the family of Tommy Lee "Tom" Shipe, please visit our Tribute Store. "Email Address" would like to share the life celebration of Tommy Lee "Tom" Shipe. Click on the "link" to go to share a favorite memory or leave a condolence message for the family.